Rogue One, the first Star Wars anthology movie, hit cinemas nearly a year ago and with The Last Jedi about to drop, Star Wars mania is about to take over the world all over again. Despite all the pre-release concerns - mostly thanks to reshoots and changes in personnel at the top - Rogue One became a critical success and joined the billion dollar club. But is it as good as we thought at the time? Since its release, there has been a slight backlash to Rogue One and the general public has been more reserved in their praise than critics, which is relatively unusual for a blockbuster. The good news, though, is that Rogue One is still a good watch the second time round. For all the complaints about the lack of character development, CGI resurrections and the film just being another nostalgia-fest, Rogue One is a blockbuster with artistic visuals, a thought-provoking story-line and a risky blending of science-fiction action and gritty war thriller. It was a risky film, but the risk paid off. 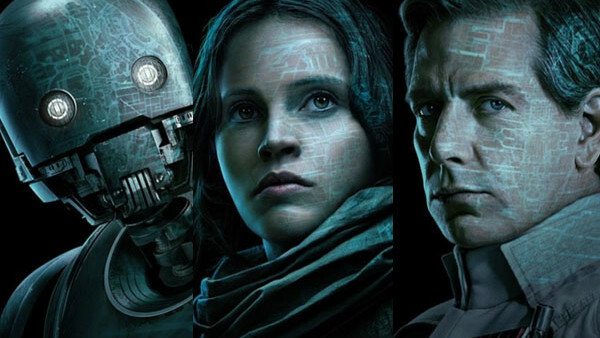 From positives to negatives, from hidden complexities to interesting symbolism, there are new things you might notice watching Rogue One for a second time.